Mind Meld With Mike Garley Of Late Fees! Over the past few years Mike Garley has been carving a name for himself over his work on Adventure Time and Wallace and Gromit. 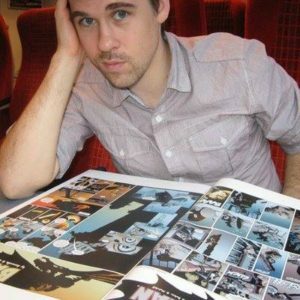 During that time he’s been nominated for an Emmy for Collider, a unique project which spans comics and multimedia. 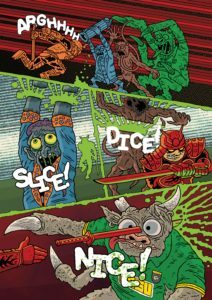 However, the writer has firmly maintained his roots to the independent side of comics, he’s created the Samurai Slasher which is an ode to 80’s films and working alongside artist Lukasz Kowalczuk on Late Fees. The writer explained everything about his creative process, Late Fees, working in mainstream comics, comic conventions and leaving no stone unturned, he even explained his enthusiasm of hedgehogs. As a writer what do comics mean to you? Comics allow near endless possibilities and freedom in storytelling – it allows the opportunity to tell a story as big or as small as you like. Most of the stories I’ve told up to this point have had a more mainstream feel, whereas Late Fees is a much more personal, introverted story. Comics allow me the freedom to tell both types of stories without feeling like I have to compromise. 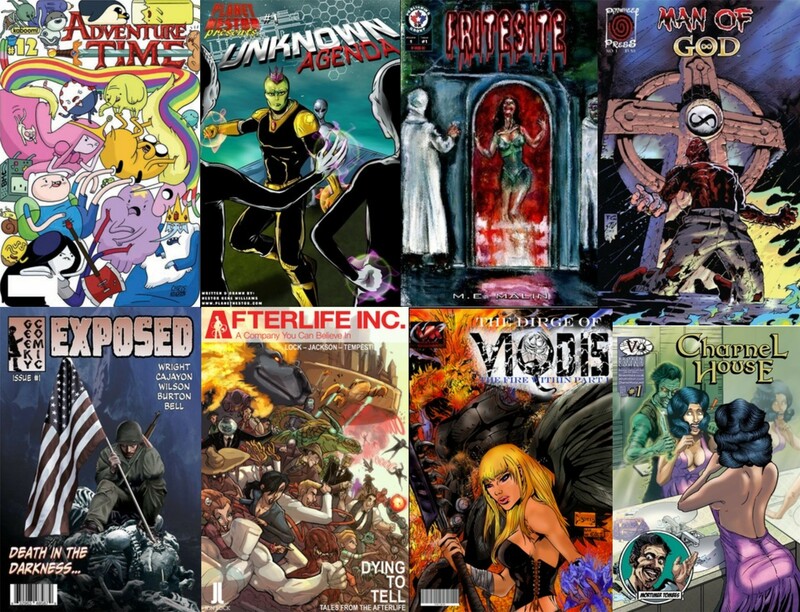 My more mainstream comics have subplots and storylines that feel more ‘indy’ but due to the structure of comic storytelling I can include them without it feeling out of place, and Late Fees includes monsters and killing without changing the emotional tone of the story. Comics are perfect for these types of juxtapositions – strong and vibrant storytelling can fit effortlessly within the medium. How would you describe your approach to writing comics? I always start with a feeling – I want to know what the reader will feel when reading something so I can make sure everything ties into that. I’ll then work out a really loose outline before trying to find an artist for the story. I like to write with an artist in mind as it helps me to try and play to their strengths. It’s also the best time to get their thoughts on it. One of my first comics (Eponymous) changed artist after we started developing it, which led to a change in direction – it changed from a straight up superhero story to a story which was much more interested in the thriller, espionage elements. You’ve also written Wallace and Gromit and Adventure Time, how has that impacted you? They were both obviously lots of fun to write, and they offered up some great challenges too. Writing any IP is always going to be interesting, as you need to make sure you that you really capture the voice of the characters and the worlds they inhabit. But I think what I learnt from them is how important it is to find what excites you in a story, and not just try to tell the type of stories that you think people want to hear. 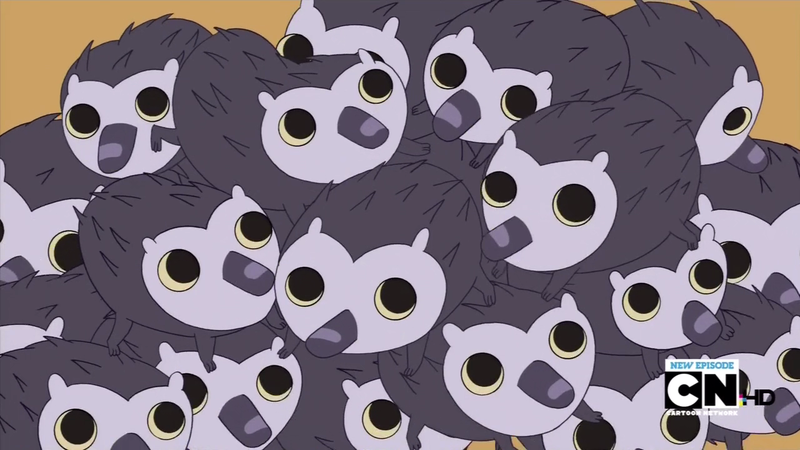 My favourite Adventure Time story was one about giant hedgehogs – I love hedgehogs, so I concentrated on trying to capture that passion to make a fun story. 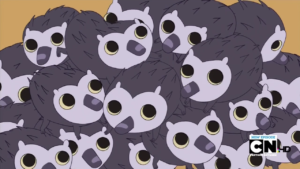 A fun story about giant hedgehogs. 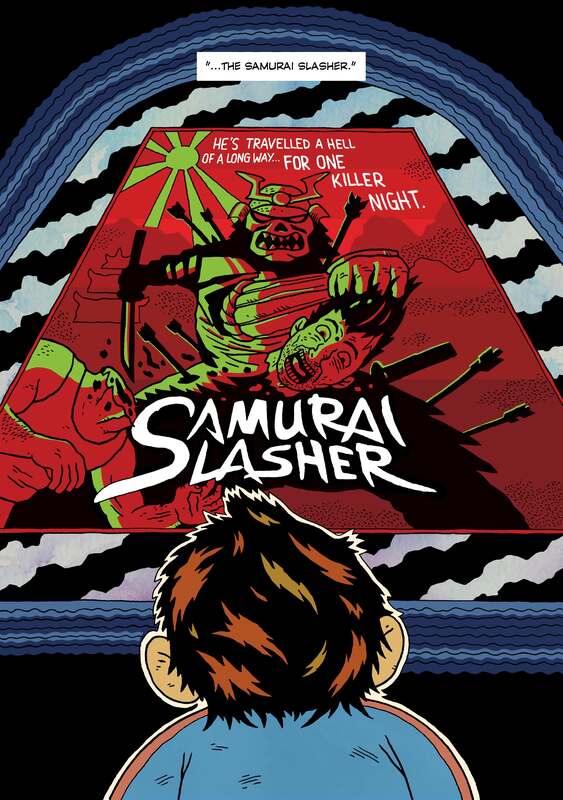 What 80’s films served as an inspiration for Samurai Slasher? The main one is Friday the 13th with the first story being a direct homage to it, but Samurai Slasher is more based on the feel of 80’s films. There was something dumb and fun about a lot of the films back then, where they don’t seem to take themselves to seriously. The stories can go in any direction and there’s something exciting about that. Especially when contrasted with modern films which are normally set up with the sequel already in mind, making them feel less original. The Samurai Slasher is a character you’ve created; do you think Late Fees serves as an introduction to readers who aren’t familiar with him? Not at all! 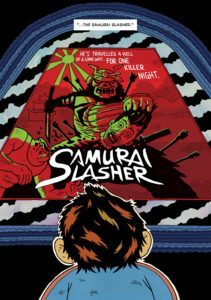 I don’t think you need to have read any Samurai Slasher before (or after) – he’s used as a metaphor in Late Fees and he could’ve been replaced with pretty much anyone/thing. Late Fees is a personal story, so it just kind of made sense to use one of my own characters. Especially as I’m not very likely to sue myself. 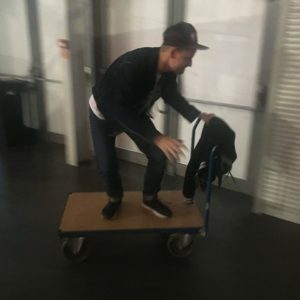 You’ve worked alongside so many artists for your projects what made you choose Lukasz Kowalczuk for Late Fees? Lukasz has such an incredible style that I’ve wanted to work with him for a while. I commissioned him for a pin up for the next Kill Screen book last year, and I’ve been looking for an excuse to work with him proper since then. When I decided that I wanted to do Late Fees I went straight to him! His artwork is amazing and really brings the book to life. Unlike the rest of the SS stories and without spoiling much, this one is quite a tearjerker, what made you change direction? One of the best things about doing comics is that I can tell whatever stories I want. The Kill Screen and Samurai Slasher both sell well, which gave me the freedom to tell a different type of story with Late Fees. I didn’t have to worry too much about selling the book as I’m lucky enough to be in a position where I know that there are people that will give it a go regardless, which is great as it’s a pretty hard book to pitch. Was there a temptation for you to connect Late Fees with previous SS stories? No. Not at all. I wanted it to stand completely independently. Late Fees is about the story and I didn’t want to detract from that by trying to be too clever. 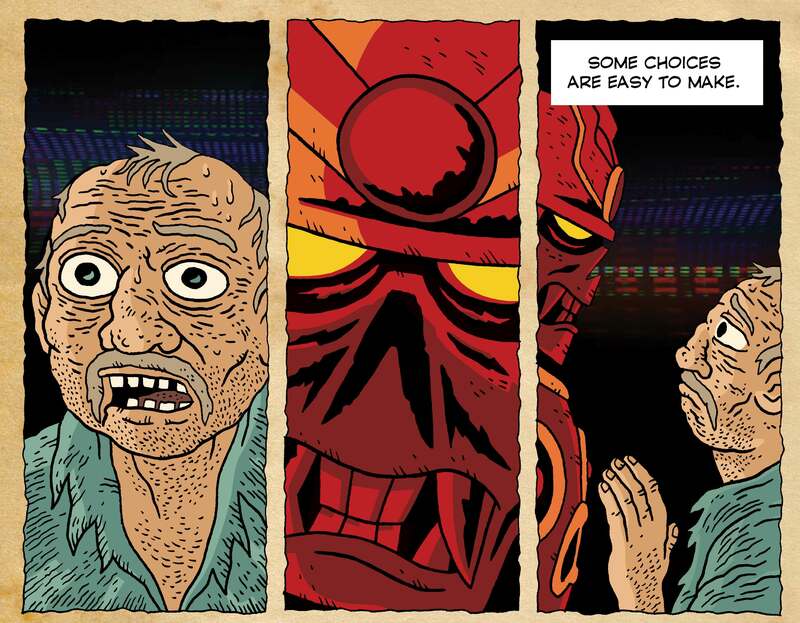 And one of the reasons I made Samurai Slasher was that it gave me the freedom to tell whatever stories I wanted to tell. Do you think it’ll resonate with people who grew up in the 80’s and 90’s? So far it seems to be hitting a chord with people – I think the experience of going to the video store was a big part of people’s lives back then so there’s a real nostalgia element there. I didn’t write it for that reason – it’s more the father/child story that I hope connects with people. You’re also a regular at UK comic conventions, what’s that like? I love comic cons! It’s great to see so many people celebrating what they love. They can be hard work, but they’re worth it – especially when you start returning to old ones and people have come back to get the next issue of one of your comics, or just to tell you how much they enjoyed something that you’ve worked on. It’s really gratifying and a great change from sitting on my own in my office. 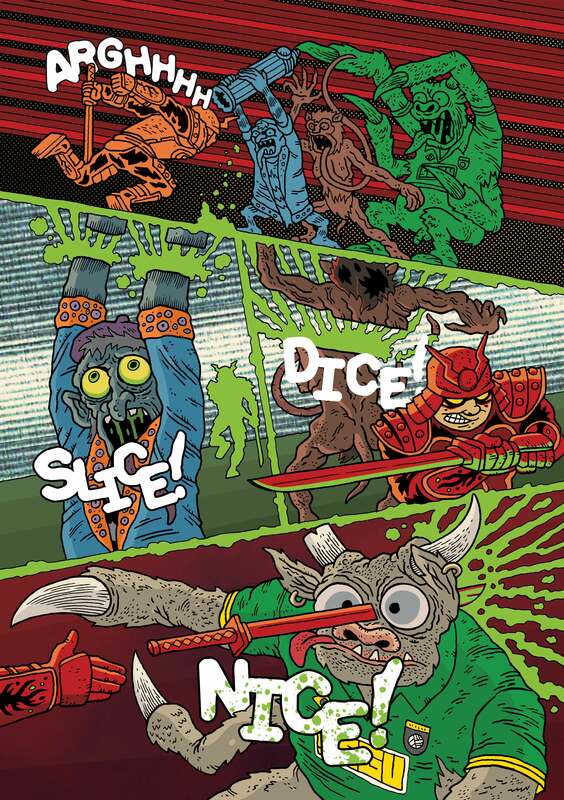 Editor’s Note: Interested and checking out Samurai Slasher and more of Mike’s work? Then head right here! Tags: Adventure Time, Collider, Eponymous, Friday The 13th inspirations!, Having a feeling when starting your writing is one way to get things going!, Having freedom to tell whatever stories you want like with Samurai Slasher is always a great thing!, Indies, Interviews, Kill Screen, Late Fees, Lukasz Kowalczuk, Metaphors are fun!, Mike Garley, Mike's even got an enthusiasm for Hedgehogs!, Mind Meld With Mike Garley Of Late Fees!, Ode To 80's films!, Samurai Slasher, Small Press Love, UK Comics Conventions Regular!, Wallace and Gromit, You won't see Late Fees changing the emotional tone of the story!